Changing the equilibrium: Is it okay to interfere? Today as I stood on top of Mt Coolum, I was extremely proud of both my kids, my 3 year old daughter had just walked all the way to the top on her own and my 6 year had been wonderfully encouraging. As we always do, we wondered over to the far side of the top of the mountain to find a little shade and enjoy the view, a snack and water. As we sat there my son pointed to a girl and asked “Why is she drawing on the rock?” I looked over and a young girl of 10 or 11 years was carving her name into a large rock with a pocket knife. Mt Coolum is a National Park. 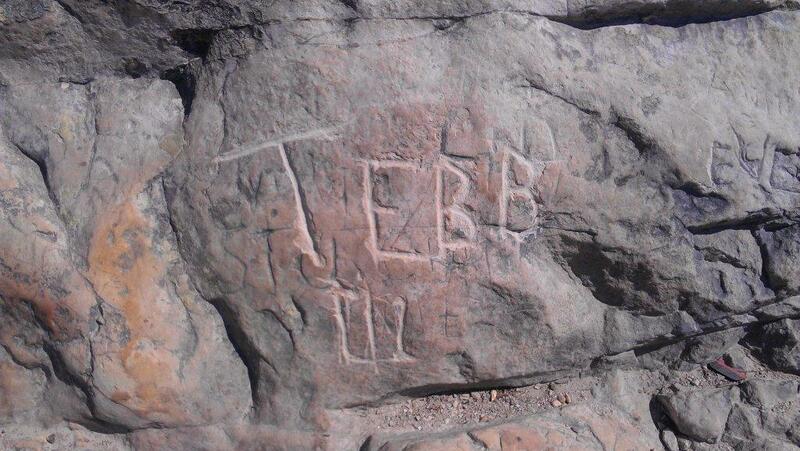 Obviously graffiti almost anywhere is illegal; however, this is a National Park! And here was a young girl, with a knife, carving her name into a rock… in front of her father and sister. And in front of my 3 year old and 6 year old and every other child and teenager that was on top of the mountain today – and it was a beautiful Sunday and there were lots of people. I looked at my husband, and said “Sorry, I am going to have to say something.” I have been known to do this with smokers in restaurants; however this was my first “wildlife warrior” moment. I politely asked the girl if she would mind stopping carving into the rock as it was graffiti and was not permitted in a national park. She looked at her dad who told her, “It’s okay; there are lot’s names already up here”. I explained that it wasn’t okay, and it was ruining the environment for everyone. The father was extremely unimpressed with my interfering (which I had expected) and stopped his daughter, telling her that it looked good already. He huffed and puffed many things under his breath and moved away with his kids. Our family packed up our rubbish and got ready to head back down. We started across the top of the mountain to begin our decent when I decided to run back and take a photo of the graffiti. To my shock, the dad was standing beside his daughter as she finished her name and date in the rock. This time I didn’t say anything – what could I say without really crossing the line. I went and took some photos of other carved names on top of the mountain, and there are a lot of them. On the drive home we had a discussion with our kids about graffiti and the impact on the environment. We talked about why some graffiti is art and other is not. I was a little bit upset with father’s reaction; however my husband reminded me that I had basically disciplined his child in front of him. Sitting here writing this, I am still not sure what I would have done differently. Where do our kids learn about acceptable behaviour? I know I would be furious if a stranger corrected my parenting; however I felt that when we move into breaking the law and damaging the environment that it is time to say something. How do children learn about appropriate boundaries without parental direction?